Tell us more about yourself. Who are you? 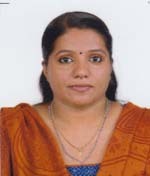 I am Ashly V. Antony, an Indian therapist from Southern India (Kerala) who holds a Diploma in Ayurveda Panchakarma from the Sree Sastha Kalari Ayurvedic centre. I am a person of a deeply caring nature who likes helping people in need. I have worked in many similar places in India such as Ananda in the Himalayas, the Ayush Therapy centre, and the Nimba Nature Cure Village. How did you get into Ayurveda? I come from the land of Kerala which is called “God’s country” and where Ayurveda has been practiced for a long time. This is a place where Ayurveda is the mainstream medical science, so I was influenced by it, which has helped me fulfill my potential. How did Ayurveda change your life? What happened? Ayurveda as a social and preventive science has made my life change for the better. I am now able to help many sick people by reducing their pain and assisting them to restore their health. How would you describe the Ayurvedic doshas to a beginner? We have been given knowledge about the doshas and it is easy to explain the doshas according to their nature and function, which helps our patients. Can you explain the Ayurvedic dietary rules in simple terms? The Ayurvedic dietary rules are based on Agni (digestive fire). Everybody has different digestive capacity which varies from person to person and depends on their dominant dosha and Vikruti (imbalance in any dosha). It is very important to follow a strict regimen and drink water when thirsty so that the body could get nourished. Judging from my own experience, Ayurveda offers the best medical advice to prevent diseases.